The need for organic skin care is essential to properly take care of your body without exposing yourself to unnecessary and harmful toxins. However, many of us don't even know we are being poisoned or what organic skin care actually entails. These beauty tips should be taken to heart, as beauty is not the things we cover ourselves with, but with the light that shines outwardly from us. Hepburn also said “I believe that happy girls are the prettiest girls.” So very true and nothing creates happiness as does good health, for girls and guys alike. So looking at beauty as a natural and organic aspect of ourselves, we are all indeed our most beautiful in our natural and organic states. So this seems counterintuitive when we add toxins in and on our bodies. We poison ourselves to create false beauty and happiness. Standard American skin care products can rarely be honestly categorized as being anything close to organic skin care. Since most products are full of hormone disrupters, carcinogens, irritants, and heavy metals, all packaged up in pretty shiny containers, they are far from anything that we should be putting on our bodies. This may sound scary and improbable, but many of the skin care and beauty products we are sold each day contain things that harm us in so many ways. Having an organic skin care regimen is sometimes extremely difficult and overwhelming to accomplish. 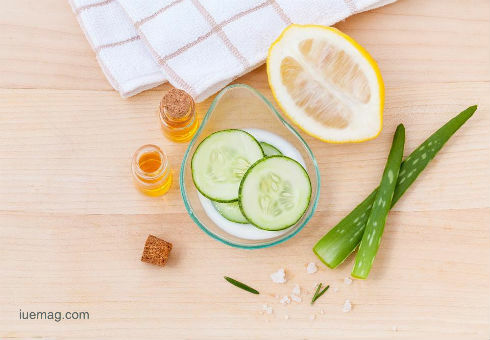 There are simple steps you can take to ensure you aren’t poisoning yourself, but instead are following the path to true organic skin care and making yourself healthier and happier because of it. Ever read an ingredient list on your personal care products? Yep, it can make your head spin! Some things in those products are pretty ok (and may actually work in an organic skin care regimen), but a lot of them you shouldn’t touch with a 39 and a half foot pole. 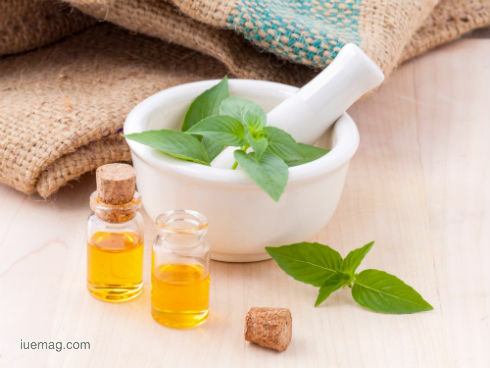 Below is a list of ingredients you need to eliminate from all of your personal care products, as well as a brief overview of why they are harmful to you…if you want to know. Triclosan is an antimicrobial agent often added to soap, shampoo, and other personal care products. As with any antimicrobial agent, it promotes bacterial resistance, creating strains that can no longer be treated with antibiotics. This can be very dangerous. Plus antimicrobial agents disrupt our own gut and skin flora. Triclosan is also suspected as a cancer and tumor promoter, as well as an endocrine disrupter. The kicker here is that it not only harms us, but soaps with triclosan provide no additional benefits over regular soaps. So there is no reason to use it at all! Phthalates and Parabens are found in various personal care products, but mostly in moisturizing products. Phthalates and parabens increase the risk for breast cancer, as well as act as reproductive and endocrine disruptors. Sulfates, Propylene Glycols, and Fragrances are found in nearly all types of personal care products. Fragrances can be found even in products that have very little of anything else and may be sold as organic. Read carefully and all the way to the very bottom of the ingredient list, as often that is where the fragrance is listed. You may be thinking why should I avoid fragrances, especially since all they do is make a product smell yummy? Well, those fragrances at a minimum can be a skin or mucous membrane irritant, but they can also disrupt your hormones, which is not yummy. Sulfates in personal care products often come in under the names sodium lauryl sulfate and sodium laureth sulfate (both abbreviated as SLS), as well as several other sulfate names. So again, read your labels. SLS’s are known skin and eye irritants, can produce carcinogenic substances if combined with certain other ingredients (i.e. triethanolamine), are toxic to the environment when manufactured, and are corrosive. Even if you don’t know anything about what SLS’s do, know that they are used as a pesticides and herbicides…um I am guessing you don’t want to put something on your face that kills plants and insects. Propylene Glycols (PG), Polyethylene Glycols (PEG), and Mineral Oil are petroleum by-products. These products can accumulate in our fat, lymph nodes, liver, spleen, and lungs and may be a possible carcinogenic. Doesn’t that say it all? A fun fact about Propylene Glycol is that it is a synthetic liquid substance that absorbs water in our personal care products and is also used in the making of polyester, as solvent in food flavors and colors (mmmmm, makes you want to eat some processed food, doesn’t it? ), and can be found in deicers…because it’s an antifreeze compound! Since Propylene Glycol is a food additive, it’s thought that moderate amounts are not harmful if ingested. Does anyone know how you measure moderate? Is that a teaspoon, a cup, a barrel? Anyone? I’m just going to go with none at this time. 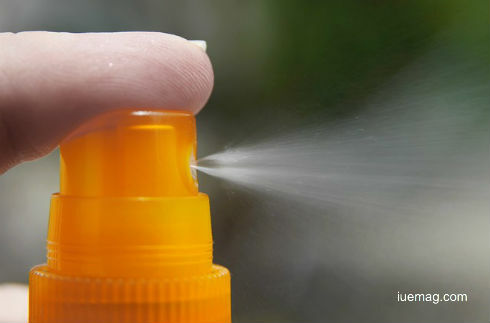 Aluminum is most often found in deodorants and sunscreens. Aluminum has been associated with both breast cancer and to Alzheimer’s Disease. Aluminum is linked to Alzheimer’s Disease because aluminum tends to accumulate in brain tissue and is capable of producing symptoms similar to Alzheimer’s. Inorganic (zinc oxide and titanium oxide) and Organic (PBSA) UV filters are in many of the sunscreens and makeups with sunscreens that we use. These products can react with UV light and form reactive oxygen species (ROS) that can damage human cells. Heavy Metals are often found in makeup as a contaminant. Some of the heavy metals are readily absorbable, but not all. However, they can be ingested such as through lipstick. The heavy metals most often found are arsenic, cadmium, chromium, cobalt, lead, mercury, and nickel. While the median values are typically low (which is good), there is a general lack of regulation. Formaldehyde-releasing preservatives (quaternium-15, diazolidinyl urea, DMDM hydantoin, Bronopol, or imidazolidinyl urea) are potentially harmful chemicals found in about a quarter of cosmetics. Since formaldehyde is a known human carcinogen, and if this stuff is in the makeup, etc. you put on your very vulnerable skin, you can see how this can be harmful. Plus formaldehyde-releasing preservative are very dangerous when inhaled. Siloxanes [cyclotetrasiloxane (D4), cyclopentasiloxane (D5), cyclohexasiloxane (D6), Cyclomethicone (mix of D4, D5, & D6)] are silicone based products that are found in cosmetics because they soften, smooth, and moisten. They allow hair products to dry faster and deodorants to slide on more easily. They are thought to mimic estrogen and otherwise interfere with reproduction and the endocrine system. Like formaldehydes, skin absorption and inhalation are hazards. Tetrasodium EDTA, Diethanolamine (DEA), Monoethanolamine (MEA) and Triethanolamine (TEA) act as cosmetic preservatives and help make products creamy. However, they are also linked to cancers including liver and precancerous changes in the skin and the thyroid. They are also extremely harmful because they react with other chemicals in cosmetics to form carcinogenic nitrosamines, which are known carcinogens. Additional cytotoxic and genotoxic preservatives to look for in your personal care products include phenoxyethanol, ethylhexyl glycerin, and benzyl alcohol. Components of hair dye, particularly those derived from coal tar, have mutagenic and carcinogenic potential. There have been associations made between the use of hair dye and some cancers, including non-Hodgkin’s lymphoma, multiple myeloma, acute leukemia, and bladder cancer. The ingredients I listed above are like a lot of things we get exposed. They don’t show up in the studies as killing us outright, but are linked to some pretty scary stuff like the cancers and hormone dysregulation I mentioned. Therefore, some of these chemicals aren’t required by law to be removed from the products we use for our skin, hair, etc., but that doesn’t mean they aren’t harmful. Besides, many of the products we use aren’t even listing all the junk they put in there, because there are many caveats and loopholes that allow for this. So, I’m saying there’s a chance, you are slathering stuff on your body that has unknown ingredients and contaminants in it. Makes you think twice before using all those nifty personal care products, doesn’t it? When you eat foods that work optimally for your body it shows outwardly. 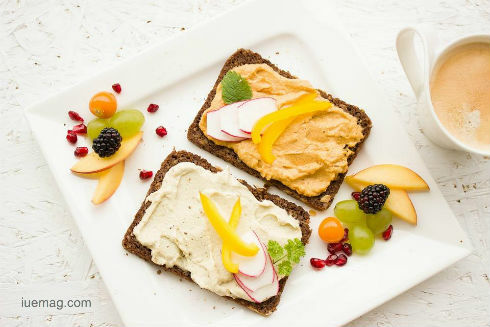 Therefore, if you eat foods that work with your body it will show through smooth radiant skin, shiny full hair, strong nails, and a brilliant smile. Learning to eat for health is one of the best methods to achieve organic skin care. Eating to make your body the pinnacle of health comes in two forms: Taking in healthy foods and eliminating unhealthy foods from your diet. Below are some things you should be eating and others you should avoid like the plague. Vegetables and Fruit: Yes, vegetables and fruit. You know this, your parents know this, and even your kids know this. Vegetables and fruits have so many vitamins, minerals, and fiber. And because they do, they have antioxidants, phytochemicals, flavonoids, whatever you want to call them, that help reduce cancer risks, heart disease, and inflammation. They are nature’s little detoxifiers and anti-agers. So, when you reduce your body’s inflammation and have things that fight off the ROS of daily life, then you are healthier in general, your biological systems run properly, and your outward appearance will show it. We have seen all the beauty products with claims of having vitamins A, C, E, etc. in them. That’s because these things work to keep us healthy and do an even better job when we eat them, as opposed to just putting them on our skin (not that that hurts us). Plus fruit like avocados have MUFAs, which are good fats that are good for your skin. Other fruits and vegetables, such as pomegranates, watermelons, and tomatoes, contain flavonoids that act as natural sunscreens, protecting the skin and reducing damage. Now that’s some true organic skin care! Cold-Water Fatty Fish and Shellfish: Indeed, I do mean salmon (preferably wild-caught), sardines and oysters. A general guideline is to eat 12-16 oz. of cold-water fatty fish or shellfish each week. This will provide Omega 3’s, selenium, zinc, iron, and highly absorbable protein. All these will help reduce inflammation and help your body run the way it was meant to, and again will show on the outside. Plus, like some of the fruits and veggies, salmon can act as a natural sunscreen and skin protectant, thanks to the antioxidant, astaxanthin. Fermented Foods: Being one of my top food categories, this includes things like sauerkraut, kimchi, yogurt, kefir, and even corned beef. Eating fermented foods provides us with probiotics. This help balance our gut biome which has a huge impact on our skin. When our guts are out of whack it shows up on our skin. If we have inflamed the gut or caused leaky gut, we break out with skin conditions such as acne and psoriasis. Plus poor gut health makes it difficult for us to absorbed the nutrients we need from our food, which leads to even worse health, inward and outward. Bone Broth: Is a must! This stuff, like fermented foods, makes our gut healthy and happy, plus it has collagen! Yes collagen, that “magical” stuff every wrinkle cream touts. Here’s the secret, though, eating it will do way more good than putting it on your skin. As we get older, we lose collagen and that is hard on our skin and joints. So really, all I can say is eat this stuff and you will look and feel younger. However, for your body to make its own collagen you need vitamin C….so remember those veggies and fruits I mentioned? Yep, you need to eat those for this reason too! Sugar: If you only eliminate one thing from your diet, make it sugar. And that means not only actual white granulated sugar, it means, any sugars not naturally occurring in food. So if you are getting your sugar from things like produce and dairy (if you tolerate it well), more power to you. If you are getting it from anywhere else, well, don’t. This goes for maple syrup and honey too. While not as processed as other forms of sugar, it still acts just like sugar. Besides being addictive, sugar jacks your body up in so many ways. It gives you insulin spikes, inflames your body, robs you of collagen, and simply has no nutritional benefit. As sugar wreaks havoc on your body, the results will show up on your skin in the form of breakouts, psoriasis, and wrinkles. Makes that cupcake not sound so good, eh? Highly Processed Food: Foods sold in colorful and shiny boxes, bags, and cans are often very far from anything found in the natural world. While many foods come processed (even vegetables if we cook them), I am referring to those that have been created by a manufacturer using rancid oxidized oils, indecent amounts of salt (which contain zero iodine), copious (or any) amounts of sugar (in many forms), and contain a whole host of ingredients we can't even pronounce. Eating processed foods is basically subjecting your poor body to corporal punishment with every bite. These foods elicit inflammatory responses, cellular damage, insulin spikes while offering bio-UN-available vitamins and minerals. Processed foods can cause a variety of skin conditions and accelerate the aging process. Improperly Cooked Foods: When foods are cooked at temperatures that are too high, this forms advanced glycation end products (AGEs). AGEs can cause collagen breakdown, accelerated aging, and certain cancers. Also, foods that are cooked in rancid oils have an oxidizing effect. As we know, this can lead to certain cancers, inflammation, etc. Side Note: Dairy: This food category sometimes gets a bad rap for skin problems. Often though, we are referring to ice cream or some sugar-laden yogurt products when we say dairy. Perhaps it isn't the dairy, but the added sugar and all those added flavors and colors. There are also claims that dairy adds hormones into our system. The evidence is out on this one, as a lot depends on what type of dairy you are consuming, whether it's low- or full-fat, and where your milk comes from. If you do choose to consume dairy, make sure it is full-fat, from a producer you know, and you tolerate it well. 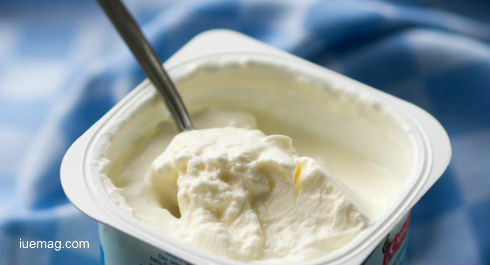 Eating or drinking the fermented version is always a great way to consume dairy products. Remember those Audrey Hepburn quotes at the beginning of this article? This is where some of those ideas come into play. If we take care of ourselves and allow our bodies to rest properly, we will be healthier and happier overall. This will show up in our skin, hair, nails, and even our mood. Beauty comes from the inside. Therefore, we need to be healthy in both body and mind if we seriously want to practice organic skin care and have it show on the outside. As for being grateful or showing gratitude, this also improves our mental wellbeing and impacts our health significantly. Being kind, thankful, and positive do more for our health that we give it credit for. Nope, I haven't gone crazy here, so just hear me out. Nothing says organic skin care like having our bodies naturally take care of themselves. We have been conditioned to think we need certain body and hair care products or that we need to use them at all times. The question is; do we really need all those products? Or if we do, do we need them every and all day? You can eliminate several products from your daily routine by looking at the necessity of them. A great example is cosmetics and lotions. If you are eating well, getting your sleep, reducing stress, and being good and kind to yourself and others, your skin will not need enhancers. It will look radiant and soft without covering it up. Perhaps a more radical personal care product elimination strategy is doing away with all soaps, shampoos, and deodorants. Our bodies are pretty darn clever and can really take care of themselves, if we let them. Our skin has a microbiome (much like our gut) which acts as a built-in cleanser, deodorant, anti-inflammatory, and immune-booster. 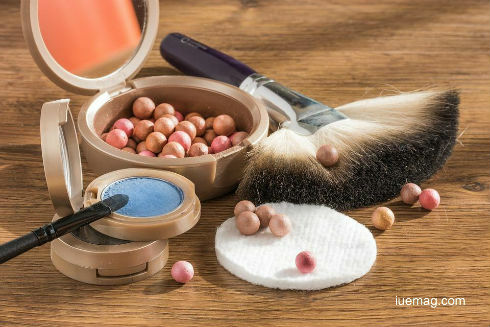 All those chemicals in our beauty products and diet can disrupt the microbiomes. Just as eliminating unhealthy foods allows us to function better, forgoing personal care products may just restore your skin's ability to take care of itself. Something to consider at least. Handmade soap bars, aloe, vera leaves and moisturizer composition. So, you aren't into going without soap and deodorant, which I can understand. While I do try to reduce the quantity of products I use, I still find the need (or at least comfort) of using soap and deodorant. Finding nontoxic alternatives to current products you may be using is a pretty darn good compromise. Soap: Dr. Bronner's Castile Soap is one option that I like. The peppermint scented one is my favorite. I use it for hand soap, body wash, shampoo, and even wash my dishes with it. You can order it online or usually find at your local supermarket or natural food store. It comes in both bar and liquid form. Lotion: Simply use oils like coconut (my fav! ), jojoba, and olive oil. They work themselves well into the skin and you can find them just about anywhere. Go for organic to reduce contamination. When purchasing olive oil, buy American, as some imports are not actually olive oil. Deodorant: I personally use just plain ol' coconut oil. Its microbial properties reduce the bacteria that can cause body odor and it feels pretty good after shaving. Some other good options are Primal Paste and magnesium oil. Shampoo: As I mentioned before I use the Dr. Bronner's but it can leave hair a little dry. There are a lot of DIY recipes that include using honey, apple cider vinegar, and bentonite clay (I personally don't like this one). The Healthy Honeys is a site you can go to for DIY recipes. Hair Dye: While it's best just to let your hair be in its natural state, I understand not wanting to be prematurely gray. One option you can try as a natural hair dye is henna, which is plant based. Henna for Hair sells some decent products and are worth giving a try. Cosmetics: I personally think most people can do without makeup, but I also understand the need to want to have that awesome highlighted look, particularly on special occasions. I personally look for makeup made from stuff you could find in your pantry or kitchen cupboards. You can find a lot of DIY sites for creating your own makeup. One I use is THEINDIANSPOT found on Pinterest. If you aren't into making your own makeup you can try Araza Natural Beauty. My favorite thing they make is their lip gloss. The only problem with the lip gloss is that I want to eat it! Shaving Cream: Coconut oil can be used for this. It works well for legs, face, or whatever you are shaving. Starting to think I could have titled this article...Just Use Coconut Oil. I really do love this stuff…and just to be clear, no I don't own stock in any coconut oil companies. Sunscreen: I just don't use it. I eat the foods that protect my skin and I also expose myself to the sun in small doses so I don't get burned. I believe if you block out the sun you are removing the necessary building blocks to make some vitamin D in your body, which is an essential vitamin for optimal mental and physical health. The sunshine also has many benefits to your circadian rhythm and hormones levels. So you need the sun to be absorbed in your skin, just don't go for all day fry session in it. While it isn't easy to wade through all the beauty products and their massive list of ingredients, it is worth the time to do so. Working towards organic skin care and eliminating toxins will make you healthier by reducing your risk of developing chronic diseases and cancers. So, whether you choose to eliminate just a few ingredients, certain products all together, or find an acceptable alternative, just remember to also eat healthy, get your sleep, and take care of yourself. You are beautiful inside and out and doing what is best for your body will allow you to show that. So, make yourself healthy and happy, and let all that is Your Magnificence organically shine through! Brian Bishop, the author of this article, is a true health and nutrition enthusiast. He loves to read, watch and listen to anything about health. He is the best nootropics guide as he is always experimenting on himself for best results. Brian loves sharing his knowledge with others to help everyone enjoy the benefits. Any facts, figures or references stated here are made by the author & don't reflect the endorsement of iU at all times unless otherwise drafted by official staff at iU. This article was first published here on 21st June 2017.